Welcome to my website! Witaj na mojej stronie! 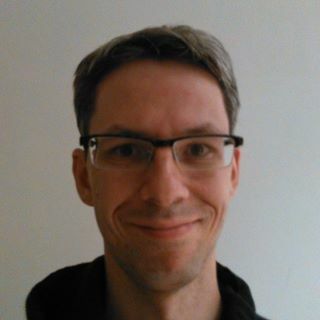 I am a (newly minted :)) associate professor at the Faculty of Economic Sciences, University of Warsaw. April 2019: A new doctoral program in Quantitative Psychology and Economics starting soon! Please visit our new website http://lotto-facts.wne.uw.edu.pl/en/ to see why you should (not) play lotto. IDEAS repec list of best Polish economists now places me in the top 3 if you consider the last 10 years! Of course, 87% of stats you find on the Internet are just made up. Most of my research involves experiments. Click here to register and start taking part. I have recently become a Country Representative of the Society for the Advancement of Behavioral Economics (SABE) for Poland. I am excited to lead a new National Science Centre "Opus" project on behavioral underpinnings of lottery play. Are all researchers male? Czy Kopernik była kobietą? My paper on gender misattributions in academic citations has recently been accepted by Scientometrics. Other recent gender-related publications show that male marathon runners are relatively overconfident and that papers known to be written by males are judged as better. Our comment (joint work with Fabrice Le Lec) has been accepted by the American Economic Review! You can see it here. 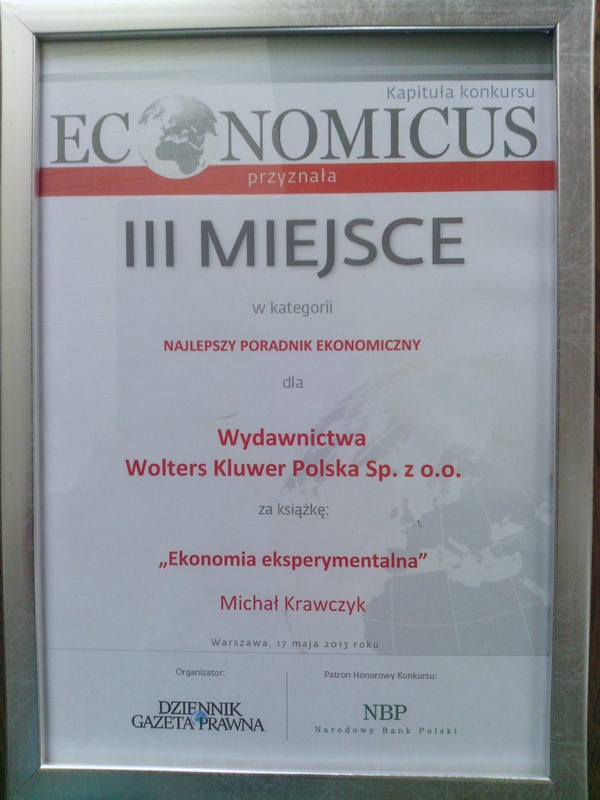 The first texbook on experimental economics in the Polish language is available from the publisher's webiste.